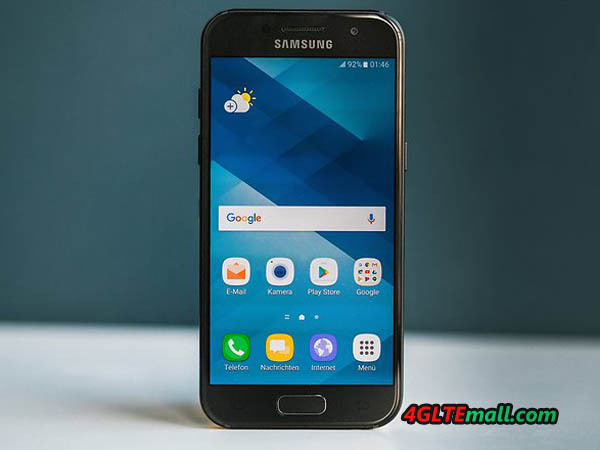 The Samsung Galaxy A3 has been popular in many countries for some time now, it is one of the very few small and handy Android smartphones with current equipment. What used to be the “mini-versions” of the big Galaxy S models today is the Galaxy A3 series, because a Galaxy S7 mini or a Galaxy S8 mini does not exist. With its 4.7-inch display and quite compact dimensions, the Galaxy A3 is well-suited for single-handed operation. In February, Samsung has already launched the third generation of the A series on the market, the Galaxy A3 (2017). In the test, the device will show whether it is as recommendable as its predecessors. The 2017 version of the Samsung Galaxy A3 comes considerably more rounded than the 2016 version. 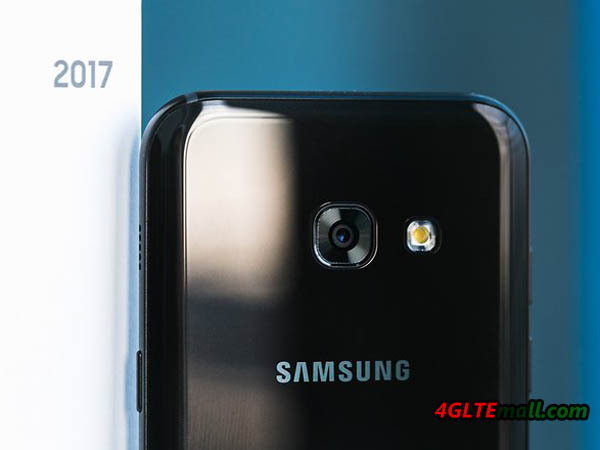 The Galaxy A3 (2016) is almost more modern compared to the Galaxy A3 (2017), although it is a generation older. Samsung provides a very high level of materials and processing, in the A3 (2017) front and rear made of glass and a matt metal frame. Speaking of color: Samsung sells the Galaxy A3 (2017) in the colors sky- black, sand-gold, blue-mist and cloud-peach, or simply black, gold, blue and pink. The dimensions are 135.4 x 66.2 x 7.9 millimeters and the A3 is 138 grams heavier. The back is rounded to the sides, so that the device is comfortable in the hand. The display glass is also slightly rounded (2.5D glass). On the right is the power button, on the left are the two volume buttons. All buttons provide a very good pressure point. 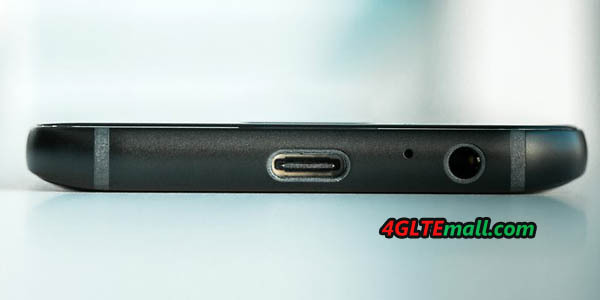 At the bottom of the device is a USB Type C connector, as well as the 3.5mm audio connector and a microphone. 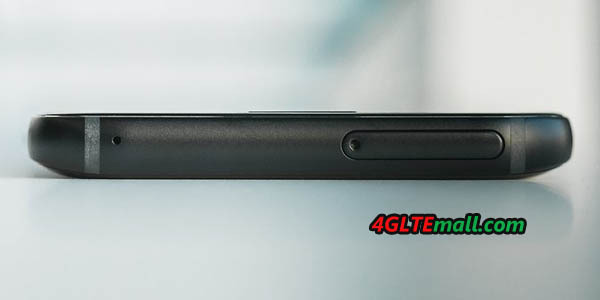 The second microphone for noise suppression is placed on the top, where you can also find the slot for the Nano SIM card and the optional MicroSD memory card. On the front you can find the home button, which also has a fingerprint sensor integrated. In addition to the Samsung Galaxy A3 (2017), there is also a white plug-in power supply (without quick-charging function), a white USB to USB type C cable for charging and data transmission, and a simple headset, also in white. In addition to the usual paperwork, there is also a small tool for opening the SIM card slot. The display of the Samsung Galaxy A3 (2017) is 4.7 inches in the diagonal (16: 9 aspect ratio). The resolution is no longer quite modern with 1280 x 720 pixels (HD), but in the daily use does not disturb and there are still advantages such as the good maximum brightness and the accurate color representation. Only in direct comparison with a full-HD smartphone, the low pixel density is negative. 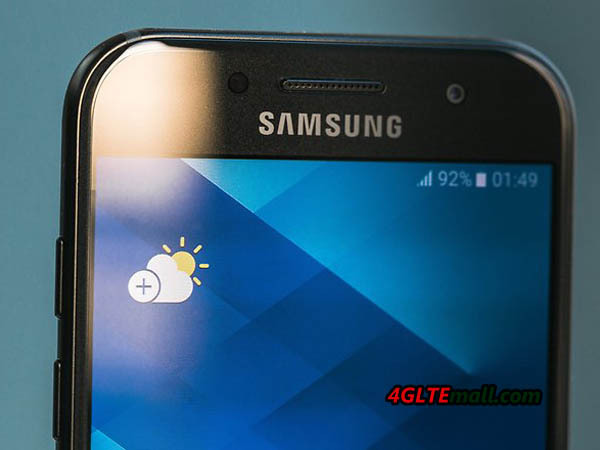 The comparatively low resolution benefits the battery runtime: the Galaxy A3 (2017) with its 2.350 mAh strong battery runs for 2 days with normal use in any case, with little use probably even longer. And the battery cannot be changed. 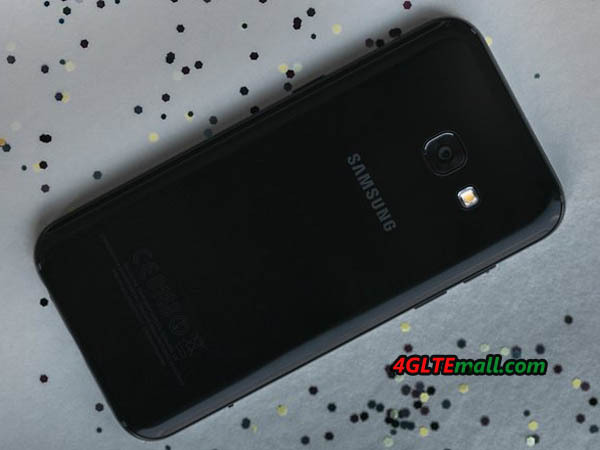 Samsung has provided a 1.6 GHz Octa core processor for the Galaxy A3 (2017), which has 2 GB of RAM (RAM) available. The internal user memory is very narrow with 16 GB, especially since only about 10 gigabytes are available for free. Luckily, you can use MicroSD memory card for memory upgrade. The Samsung Galaxy A3 (2017) supports WLAN according to the standards 802.11a/b/g/n/ac to 2.4 GHz and even to 5GHz, which is great for a smartphone for entry class. Also NFC and Bluetooth 4.2 are on board, as well as the support for various satellite navigation systems. LTE is supported on all frequency bands that are important for Europe (800, 850, 900, 1800, 1900, 2100, 2300 and 2600 MHz). The device is also well suited for occasional travel to other continents. As an operating system, Android is used in version 6.0.1, an update to Android 7.0 seems to be currently under development and is likely to reach the Galaxy A3 (2017) in any case. The user interface is appealing and offers a lot of settings. In addition, the test proved positive that the system reacts very quickly and opens apps quickly. For the first set-up, it is best to schedule a few minutes more to configure the phone as your preference, as some menus are deeply hidden in the settings. The Always On Display was particularly good in the test. 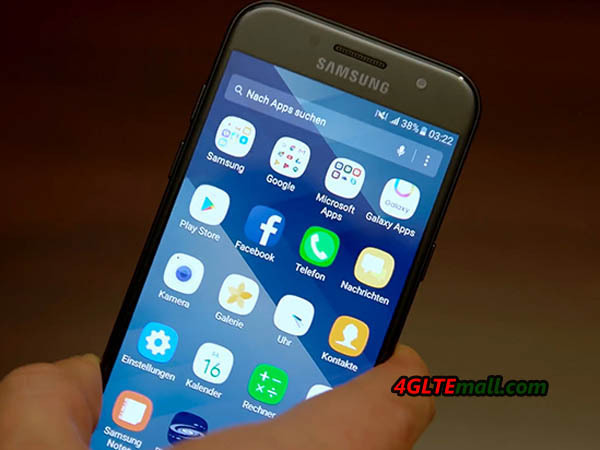 This was introduced in 2016 with the Galaxy S7 and is now also available in Galaxy A series. If the display is switched off, the time and some additional information such as received WhatsApp messages are displayed. Thanks to AMOLED display technology, the energy consumption is very limited, in the test it was about 10% per 24 hours. 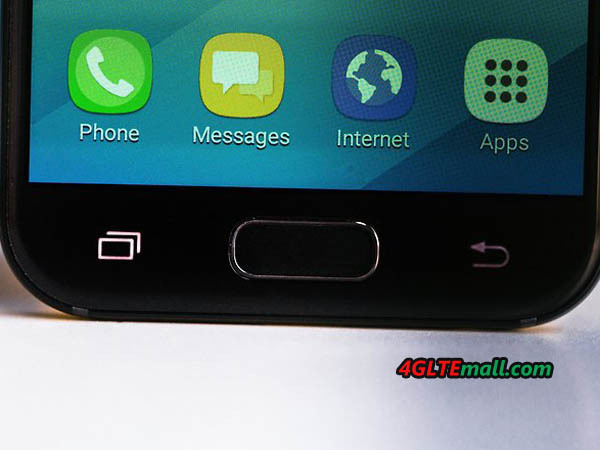 In the camera, Samsung uses a 13 megapixel sensor, which operates at full resolution in the 4: 3 aspect ratio. If you prefer the 16: 9 format, a maximum of 9.6 megapixels are available. The aperture is up to f1.9 and an autofocus as well as an LED flash is also available. Videos are available in full HD 1080p. The front camera offers 8 megapixels and also f1.9 aperture. The image quality of the back camera is good, but not outstanding. In good light, the recordings are very nice, especially macro pictures can be seen. In dark environments, the image quality of the camera is not quite as good, but still adequate and the price is definitely appropriate. 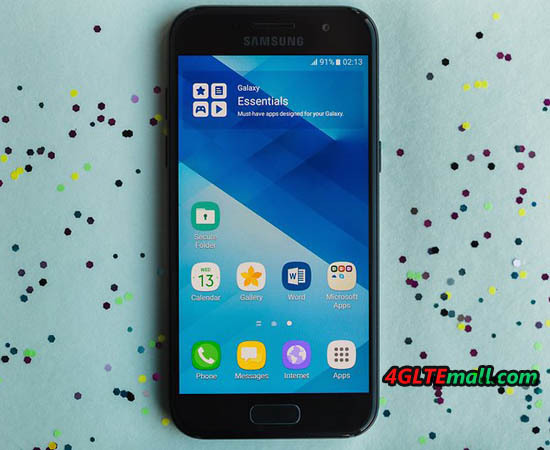 Samsung has consistently developed the Galaxy A3 in the 2017 version. The high-quality materials and the good workmanship are particularly impressive. Also the performance of the smartphone was very good in the test, the operation worked just as smoothly as with much more expensive upper-class smartphones. Good, but not outstanding are the camera and the display quality to evaluate. Overall, the Samsung Galaxy A3 (2017) is highly recommended. The price-performance ratio is great; you can get a handy and compact Android smartphone at a fair price!